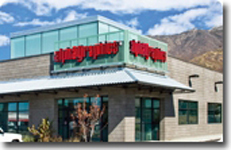 AlphaGraphics has been a leader in print and visual communications for more than 42 years. With over 240 independently owned and operated locations in the U.S. and eight countries, we set the standard for solutions in printing, marketing communications and document creation and management. At AlphaGraphics, we do more than just design, copy and print--we help our customers communicate. The need for effective communication is stronger than ever – you need to connect, and we can help you do that well – we're the vital connection™ for your communication needs. Why Should You Consider Joining the AlphaGraphics Network? AlphaGraphics is looking to add to our 42 year old network with self driven individuals who are entrepreneurial yet can work within a proven system. This is a full time opportunity for folks who have a minimum 700 FICO score, $150K liquid and $350K Net Worth. You don't have to have a sales or marketing background but you will have to manage your sales team. How Much Can an AlphaGraphics Business Center Earn? Our business centers report the highest average sales in the print franchise industry, over $1.1 million per year*. Your success depends on you--your drive, initiative and commitment. The minimum investment necessary to start an AlphaGraphics business center franchise is $257,500 - $406,00 (USD) with a minimum liquid requirement of $150,000(USD). Territories are available in all 50 states. Unleash your inner entrepreneur by calling or e-mailing us today! **From July 1, 2010 to June 30, 2011, AlphaGraphics Business Centers that had been operating for at least 1 year had an average gross sales of $1,005,559. Of the 213 Business Centers that have been operating for 1 year or more, 67 of the 213 Business Centers (operating for this period) met or exceeded these average gross sales. Please see our Franchise Disclosure Document for more details. Your financial results may differ. Click on Request Information button above for FREE information on how to start a AlphaGraphics franchise today! Please Note: AlphaGraphics opportunities for sale, and other franchise opportunities, business opportunities, businesses and franchises for sale on this web site are not to be considered as an "offering", "franchise offering", suggestion or recommendation by GlobalBX. The franchises, businesses and business brokers seen on this web site submit their own individual content. This advertisement depends entirely on the truthfulness of the information provided by our advertisers which includes, but is not limited to, franchisers, franchises, franchise brokers, franchise consultants, business sellers and business brokers. As always, GlobalBX recommends that you consult a lawyer, financial consultant, accountant or professional advisor before buying a franchise or business opportunity or any type of business. By submitting this form and requesting more information, you have agreed to all terms and policies of GlobalBX and the business and franchise offerings listed here. Please review our Terms & Conditions for more information.